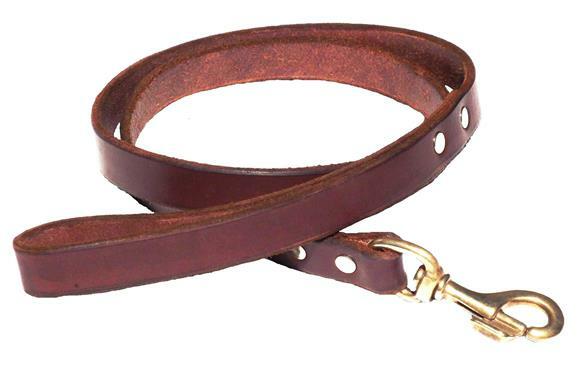 Our dog leashes are made from quality leather tanned for strength and durability and feel great in the hand. 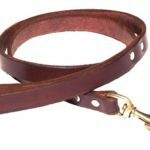 Width Choose an option(1) -- 1/2"(2) -- 3/4"(3) -- 1"(9) 5/8"3/8"
Our dog leashes are made from quality leather tanned for strength and durability and feel great in the hand. All our products are hand stripped from a hide of leather. The hides of leather we use are from steers raised in the USA and tanned in the USA. Each piece of leather is hand inspected before a product is made. 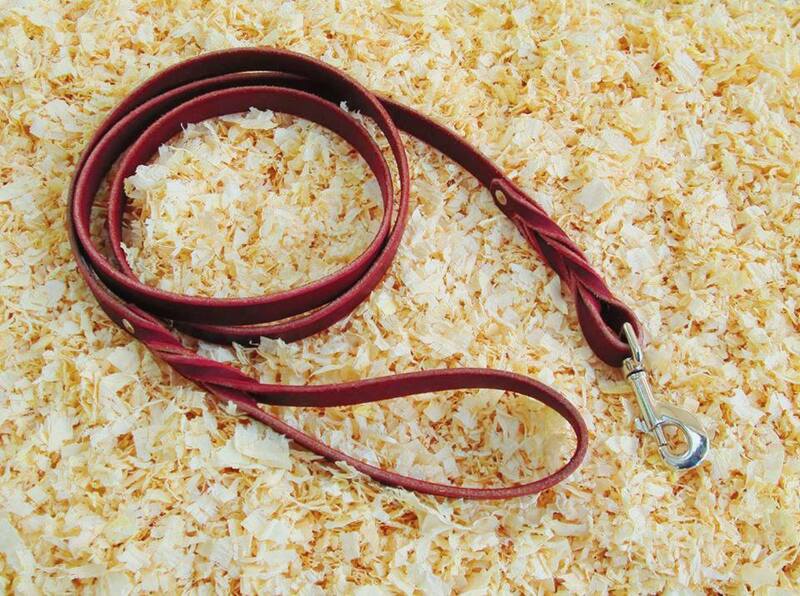 Every one of our leashes are hand edged for a nice smooth feel. 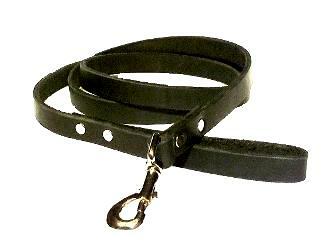 Our leashes are not stiched, they have two rivets at the swivel snap and two more at the handle for better strength. You can choose different lengths, different width and choose from Nickel Plate swivel snap or Brass swivel snap. (1) — 1/2", (2) — 3/4", (3) — 1", (9) 5/8", 3/8"